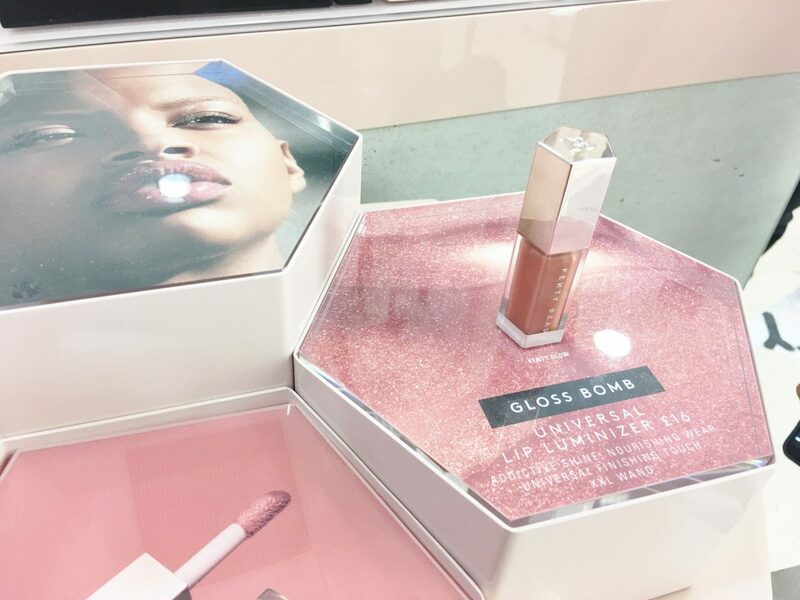 Yesterday, one of the hottest beauty launches of the year finally happened globally. 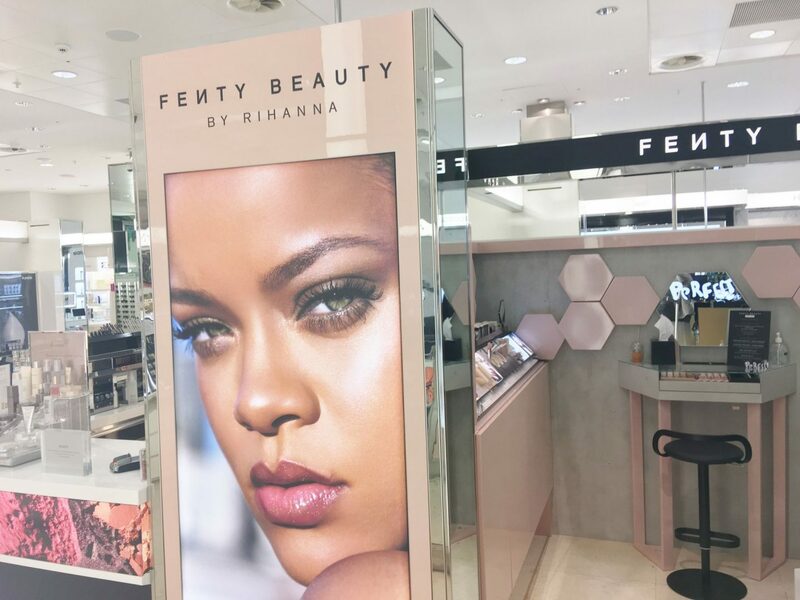 Small parts of Rihanna’s Fenty Beauty line had been gently teased out by her and her team, but basically everyone was under a strict non-disclosure agreement until 8AM GMT yesterday. 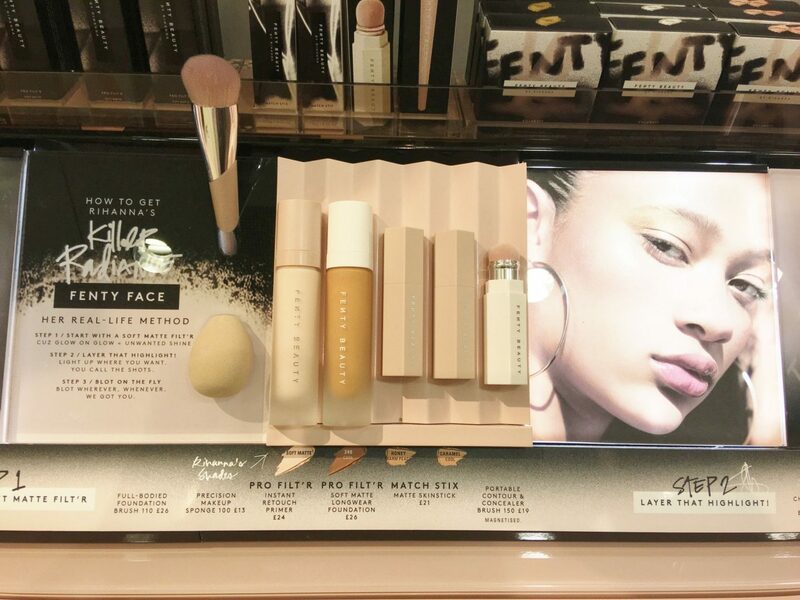 I was allowed access to the Fenty Beauty counter in Harvey Nichols at 7AM, to capture everything in all it’s glory.In-case you are wondering where the Fenty Beauty name came from, Rihanna’s full name is Robyn Rihanna Fenty, and she was makeup obsessed from a young age in Barbados. It became a great tool for self-expression for her. Now that she’s tried the best of beauty from across the world, she still felt there was a lack of products that performed brilliantly on all skin tones – products that were all-inclusive. 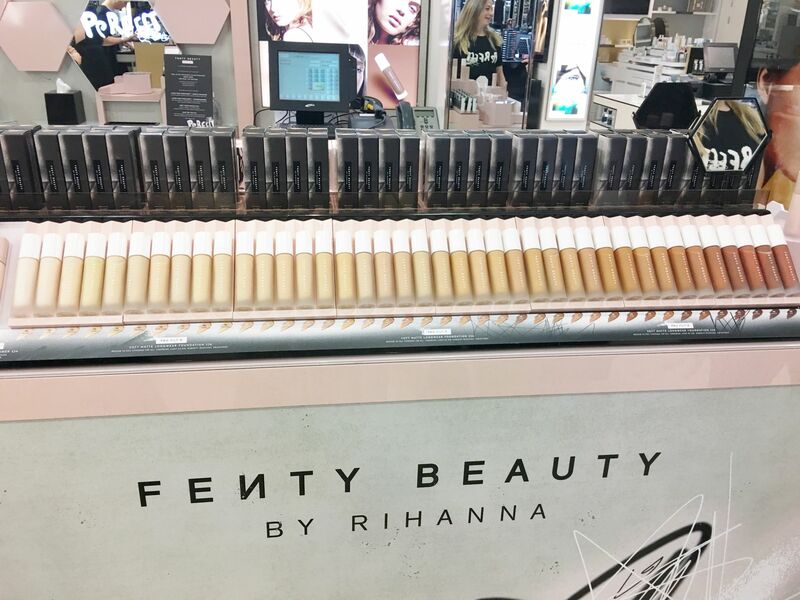 After seeing and trying out the Fenty Beauty line, I think she’s achieved this. The packaging is so sleek and I love the hexagonal design of a lot of it. Many things are also magnetic and slot together so you can create your own personal handbag super weapon. 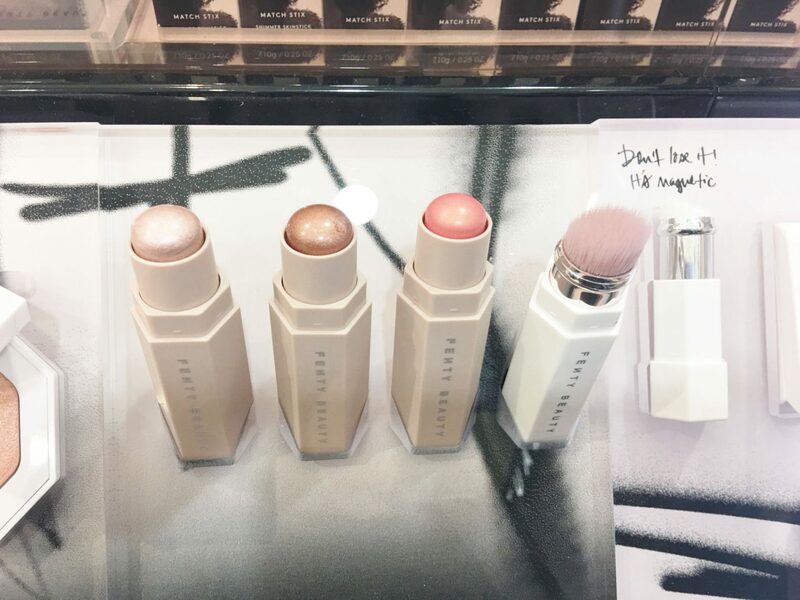 Fenty Beauty’s products have been designed to be functional and celebrate natural beauty, but to also be fun; with possibilities for experimentation. It’s all very reasonably priced too (around the Urban Decay and Too Faced price points) and amazing quality. 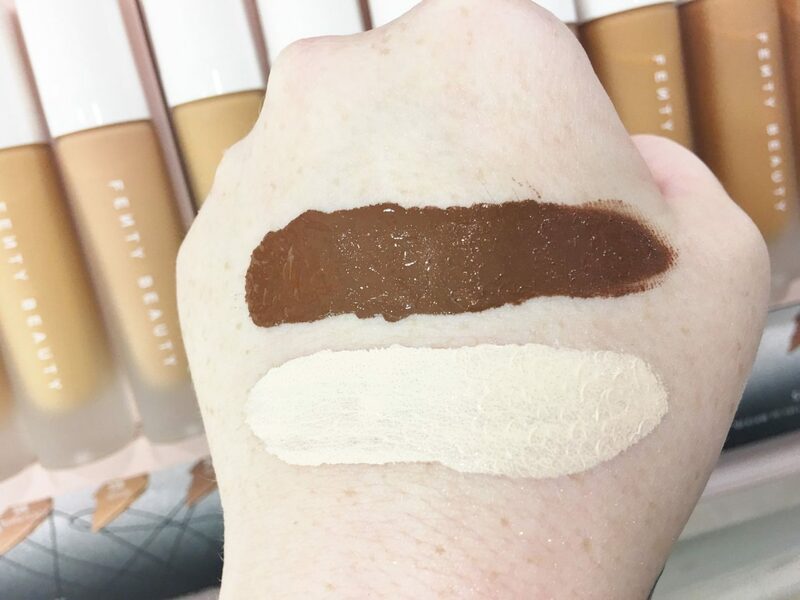 The Fenty face is all about a matte base, then adding glow where you want it. I want to take you through some of the products that I loved the most yesterday. 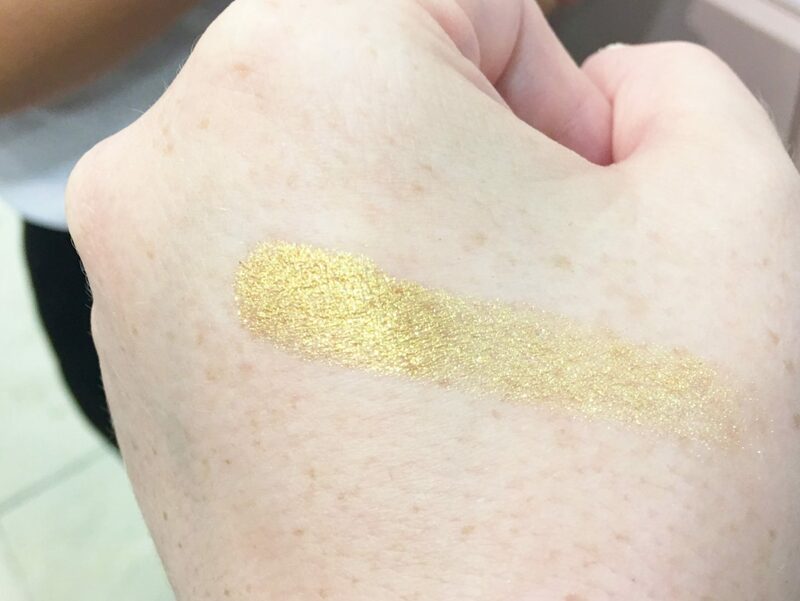 This primer feels so silky and luxurious. It’s a lightweight cream that melts into the skin and feels completely comfortable. It doesn’t have a scent and it mattifys the skin without drying it out. It’s oil-free, stops shine, diffuses the appearance of pores and increases the wear-time of foundation that you put on top. This very lightweight, but buildable foundation comes in an amazing 40 shades – there’s one to suit everyone. 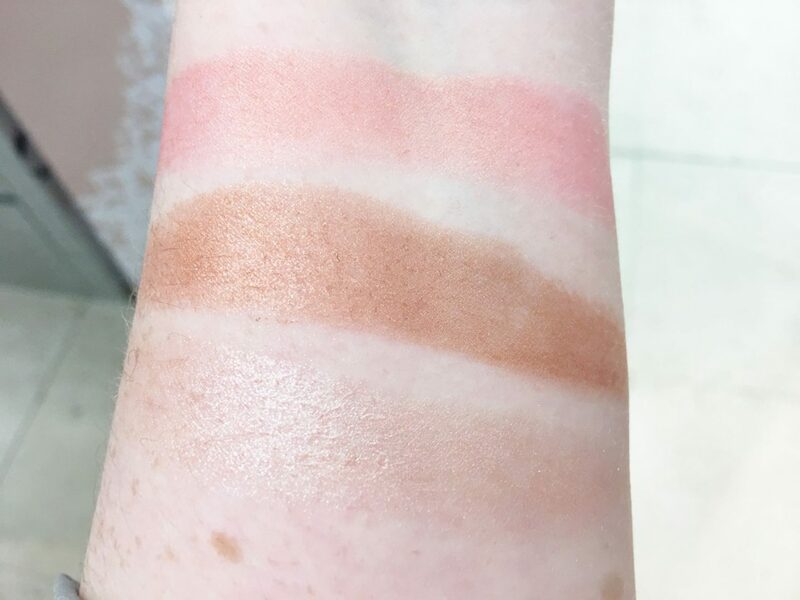 I swatched the darkest and the lightest shade side by side so that you could see the diverse range of skin tones the collection covers. You can wear this quite sheer or you can build it up to a very good medium coverage. It’s also mattifying and oil-free, doesn’t clog pores, and has shine-busting and pore-diffusing properties too. 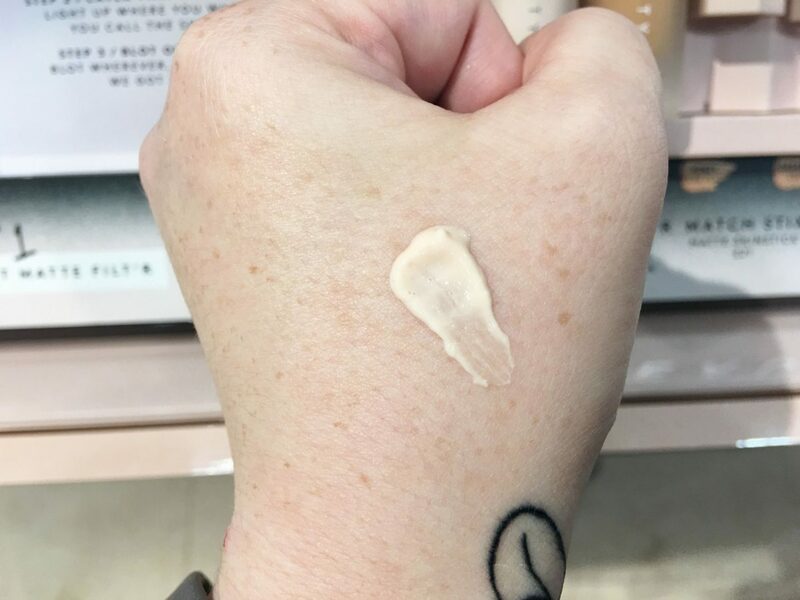 This foundation is also designed to be resistant to hot climate humidity and sweat. I love that it feels so light on the skin. These cream shimmery highlight, blush and bronzer sticks come in 10 different shades and all stick together with magnets so you can create your own personal trio. There are tangerine blushers, irridescent violet highlighters and everything in-between. You apply these directly onto the skin on the areas you want to add some glow and colour, and then blend them out with your fingers or the Fenty Beauty Portable Highlighter brush that’s designed to go alongside them. They blend so beautifully on the skin, and are so creamy and pigmented. I’ve swatched Yacht Life (pink), Rum (bronze) and Starstruck (champagne). 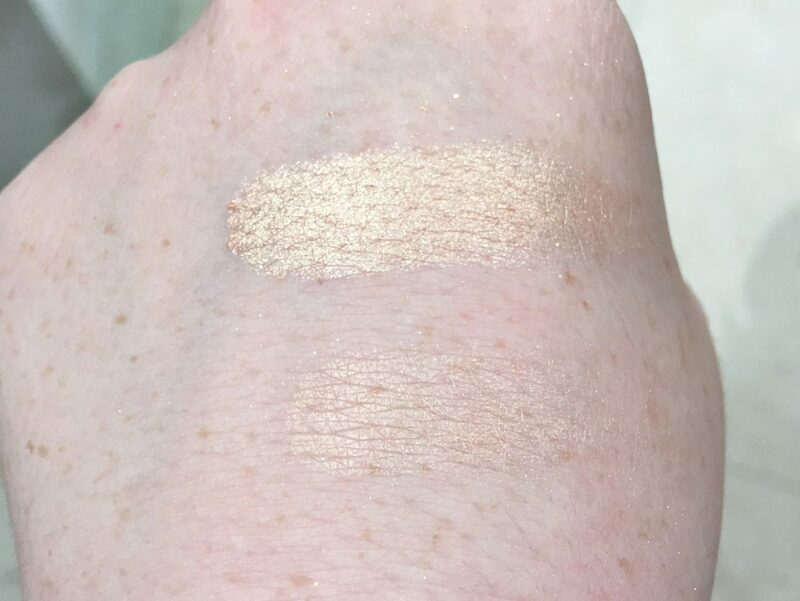 This is my favourite product in the collection, and it comes in two extreme glow shades – Trophy Wife (gold) and Metal Moon (a silvery irridescent), as well as in four duos that contain a subtle highlight for daytime and one that gives some serious strobe for night-time. There is intense pigment in these and the powder formula is so creamy and effortless to apply. 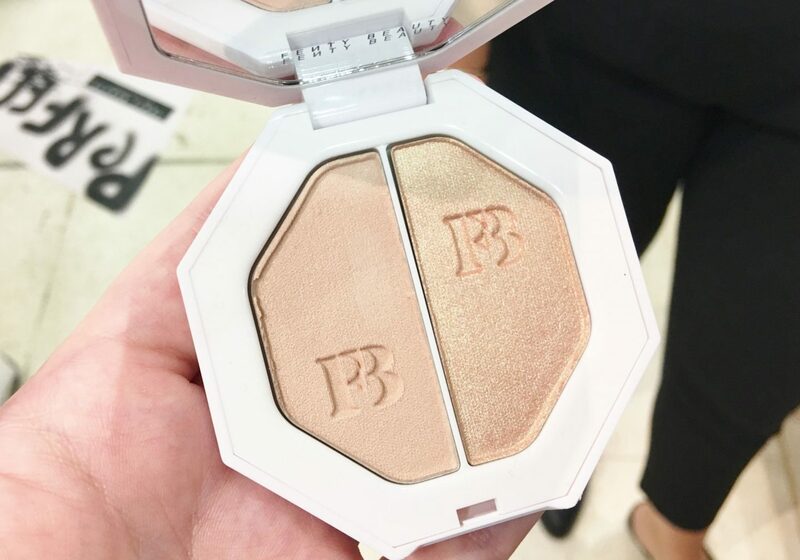 You can use these as highlighters on the high points of your face, or on your eyes as eyeshadows – they look great both ways. The duo I’ve shown you here is in Mean Mny and Hustle Bby. Probably my second favourite Fenty Beauty product is the lip gloss. 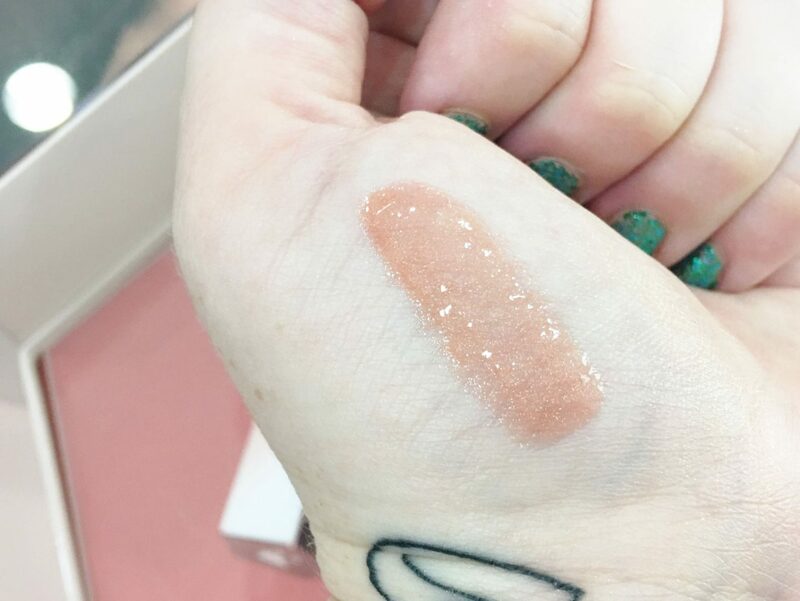 It’s such a pretty, shimmery universal shade and it’s not sticky. It’s pigmented and just glides on; leaving your lips feeling comfortable and your pout looking fuller. It comes with a great big doe foot applicator for easy application on-the-go. It contains Shea Butter to condition your lips and has such a lovely sweet peach scent. Rihanna and the Fenty Beauty team have also managed to create an amazing translucent setting powder. It doesn’t leave a white cast on any skin tone. 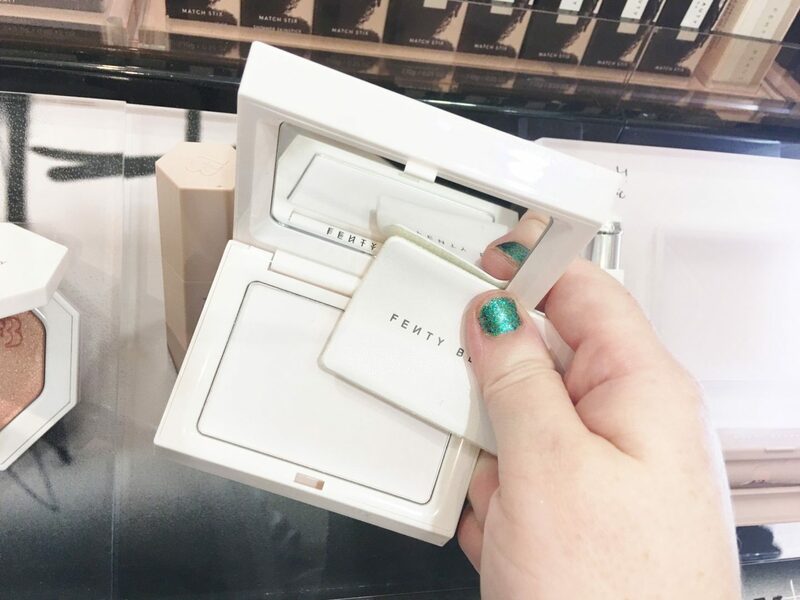 This blotting and setting powder eliminates shine on-the-go, keeps makeup intact and doesn’t cake on the skin. It’s a really fine powder that performs very well. There is also a good line-up of brushes and sponges too – I had a feel of all of these and they are so soft and look like they are very well made. I’m looking forward to seeing how some of these perform in coming weeks. They definitely look and feel like professional quality. 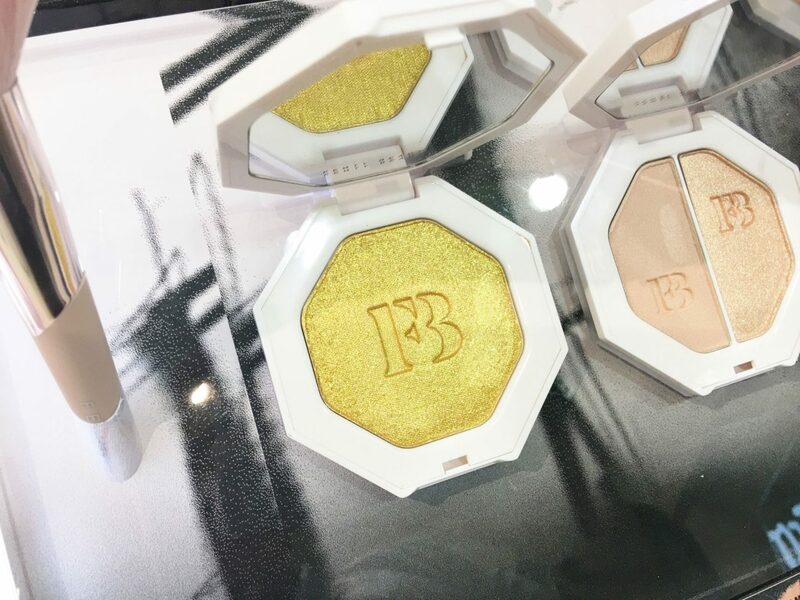 Are you excited by Fenty Beauty? Have you bought anything from the range?